Please join us at Bellevue College’s North Campus on Tuesday, November 14, 2017, from 7:15 – 8:15 a.m. to listen to Jim Palmeri, CEO of Agitare Technologies, talk about the Internet of Things (IoT) and enjoy a cup of coffee. Mr. Palmeri will be giving a presentation on the connected world of the Internet of Things (IoT), with a brief Q & A afterward. Mr. Palmeri has more than 25 years of experience at companies such as Microsoft, Oracle, Sun Microsystems, Adobe, and Kodak. He will answer questions such as: What is IoT? What careers are available? What skills are needed? My definition: is a rapidly evolving ecosystem of devices and services that when connected together create a profound shift in the relationship between business, consumers and the products they use and the way each interact. Accelerate by Cloud and AI, this next generation of “connected things” will change the fabric of our economy and generate massive amounts of data that will enable new methods of analysis and design. What are the three main points you will cover in your presentation – The Connected World of the Internet of Things? How is IoT affecting the way people use technology? IoT will enable a new level of thinking by expanding the use of automated tools and new types of data models to help solve problems ranging from optimizing SW/HW product design and assembly process, to delivering Smart Car and Smart Cities. 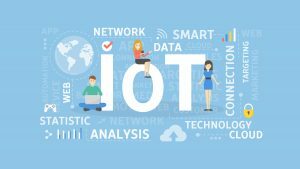 IoT will also add a new level of complexity in ensuring the security and trust of these distributed systems, how they are connected and communicate, and the effective and secure use of all that generated data. What skills should people who are interested in IoT acquire? Ranges from Mechanic and Electrical engineers for design and use of embedded devices and systems; SW engineers and Data Architecture that will create interconnected hybrid environments and manage the collected information; Data Analysts using BI Analytics/ML/AI to and draw deductions that support innovative new business models; Security engineers to maintain a trusted distributed environment of everything. If you are interested in learning more about IoT and getting your questions answered by an expert in the field, please RSVP for the event. Jim Palmeri will also be teaching an IoT Workshop during winter quarter. More details about the workshop will be shared at the Tech Talk on November 14.